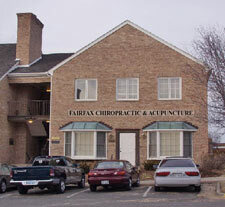 Fairfax Chiropractic treatments are by appointment. Once you are in the city, everything is within walking distance. If you are in pain, knowing where we are is very helpful. Our location in Courthouse Professional Center is very close to heart of Fairfax City, VA. We are located in the same complex with Room Escape DC that is inside our complex’s entrance. We are an anchor building with a bay windowed front entrance further inside the complex at the left rear with over 20 parking spaces. Hydrotherapy sessions can be scheduled without seeing the doctor, just call ahead to Heather to get an idea of your preferred time. Great gift certificate idea for those seeking to improve their health. Our office has a 48 hour cancellation policy. We strive to see patients whenever we can. Leave us a voicemail or email us anytime. We have 20 parking spaces. Many patients park in parking lot behind our office and take the sidewalk over to us. My rear part of the clinic has windows that open to the front of CVS in Courthouse Plaza. We also have bay windows in the front of our clinic. The clinic is an anchor if the rear of the professional park.